I have started to tag the tracks I am uploading to Soundcloud with the hashtags #1000tracks #1000pistas #1000spuren. I think it could be interesting to play with these hashtags as we upload and share some of the tracks we are producing for the project. I just added them to the Operator-2-23 track I uploaded a couple of minutes ago, and also added them to the previous tracks I have shared in the Soundcloud channel. In this jam I played around with my mobile set-up of granular synthesizers played in a two i-pads, the sound of the Roland rs-5 sytnh, and two new music toys I have added to my setup. 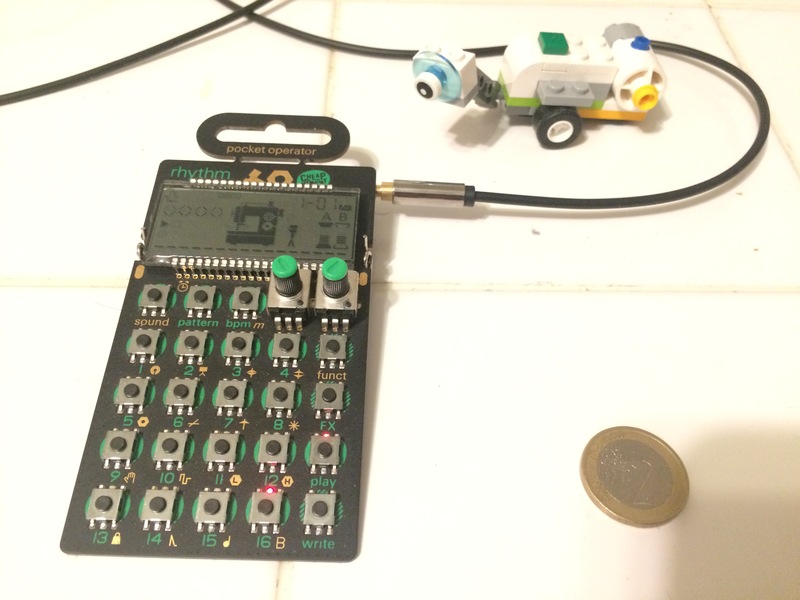 One toy is the Pocket Operator PO-12, a tiny drum machine and synth made by Teenage Engineering. The other music toy that I used in this jam is the Gakken SX-150 Mark II, a analog synth. 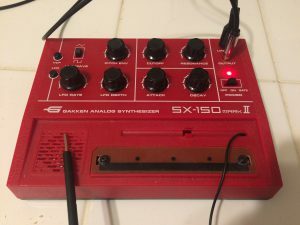 Powered by 2=4 AA batteries, this synth creates loud sounds, has an oscillator with an LFO for modulation, it can receive a external mono signal via a line in input, and also comes with a stylus that can be used for playing a pad. Thinking about the metadata we can add to the tracks, I would like to share some ideas for the kind of categories we can have. Below is an initial sketch of the taxonomy we can create for describing the tracks and organizing the metadata of all the project. I imagine, at the end it would be like an archive of tracks we can explore and remix in different ways. Outdoors: wind, lakes, woods, ocean,.. 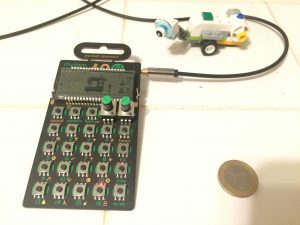 This entry was posted in electronic music and tagged #1000pistas, #1000spuren, #1000tracks, metadata, synthesizers, toys by vVvA. Bookmark the permalink. Nice sounds and a nice track 🙂 One month full of work behind me, one more to come … yesterday and today i had some ideas, how to go on with our #1000tracks – find it in my post from today. we will be in colombia from 20th of june to 11th of july. Maybe you’ll be there too? We almost crossed paths at el Dorado! I was in Colombia for a few days attending International Festival of Electronic Arts that took place this year at Manizales. I presented a video art piece called muted arms touched nature (https://youtu.be/O-RmropXPpY). I hope you are having a great time there! I enjoyed very much the week I spent in Manizales.